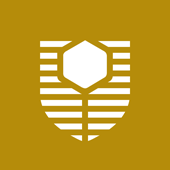 The Faculty of Science and Engineering is proud to offer Science and Engineering students the who commenced the first year of their degree on the 2017 Curtin Innovative Merit Scholarship the opportunity to be considered for the 2018 Science and Engineering International Merit Extension Scholarship; an ongoing merit-based scholarship which will cover the remaining duration of their degree program. Bangladesh, Botswana, Brazil, Brunei, Canada, Chile, China, Colombia, Costa Rica, Hong Kong, India, Indonesia, Iran, Kenya, Malaysia, Mauritius, Mexico, Myanmar, Nepal, Nigeria, Pakistan, Philippines, Russia, Singapore, South Korea, Spain, Sri Lanka, Thailand, Turkey, Vietnam, Zambia and Zimbabwe. Scholarship Benefit: he Science & Engineering Merit Extension Scholarship will provide 25% of annual tuition fee for the remaining duration of the recipient's degree program. Must be citizens of Bangladesh, Botswana, Brazil, Brunei, Canada, Chile, China, Colombia, Costa Rica, Hong Kong, India, Indonesia, Iran, Kenya, Malaysia, Mauritius, Mexico, Myanmar, Nepal, Nigeria, Pakistan, Philippines, Russia, Singapore, South Korea, Spain, Sri Lanka, Thailand, Turkey, Vietnam, Zambia and Zimbabwe.